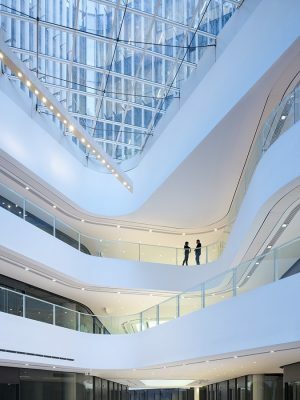 The urban ensemble “Guanghualu SOHO 2“ for the SOHO China Group designed by architects von Gerkan, Marg and partners (gmp) has been completed in Beijing’s Central Business District. 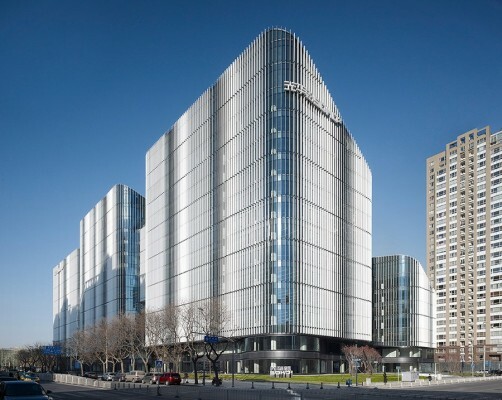 The site at the Guanghua Lu is located in one of the prominent urban districts in the eastern center of Beijing, and consists of five houses with a curved building shape. The total built area consists of 84,000 square meters of offices and a further 19,000 square meters of office units for short-term lets. 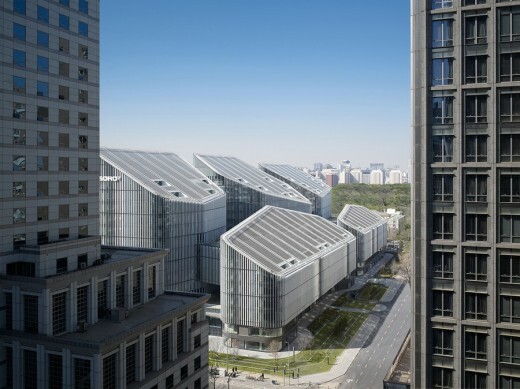 In contrast to Beijing’s usual large-scale road layouts, the comparatively closely knit Guanghua Lu is enclosed by urban blocks, generating a vivacious urban ambiance. The design for the SOHO China Group not only reflects this character, but reinforces it through numerous interactions and connections with the urban neighborhood. This is achieved primarily by a network of passages and overpasses of different widths between the buildings. 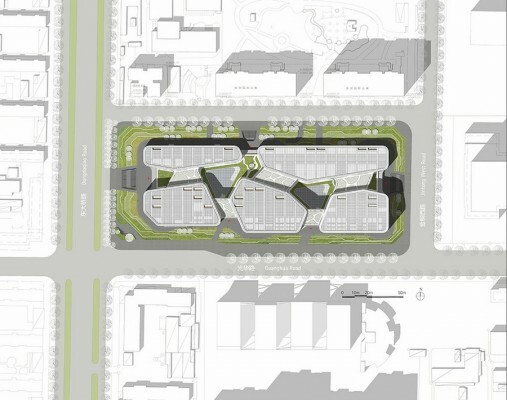 This pathway system crisscrosses the 214 x 77 meter large complex, and connects the surrounding street systems with each other. In this way, the front and rear of the buildings are of equal value, and attractive vistas are created between the houses and the urban landscape. The dynamic curves of the five buildings are continued in the characteristic sloping roofs, which result from the local regulations for overshadowing, and are a unifying feature of the buildings. In this way, a “fifth façade” is created with recessed terraces and open courtyards providing daylight. 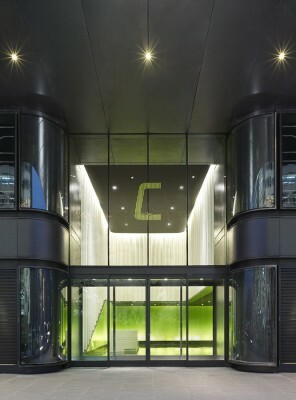 The flexibility of the buildings is enhanced and outside areas for roof gardens with views of the city are created by bridge-like connections between the upper floors of the buildings.The curved pathway system determines the interior of the building complex. 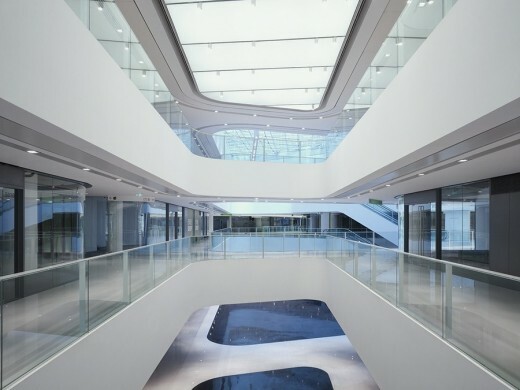 Visitors find themselves in the flowing space, which has been designed as an architectural landscape. The three lower levels of the building are grouped around two large atria providing orientation and letting in daylight. 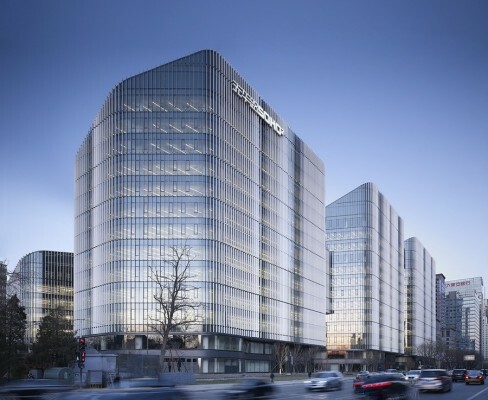 Vertical louvres at the glass façades have the function of controlling light ingress and create a delicate and elegant transparent façade with gently changing waves. This creates an image of a slightly moving curtain, imparting lightness to the ensemble.